Northeast Georgia Health System will open a new emergency department at the former Chestatee Regional Hospital in Dahlonega prior to building a new hospital at a site off Ga. 400. 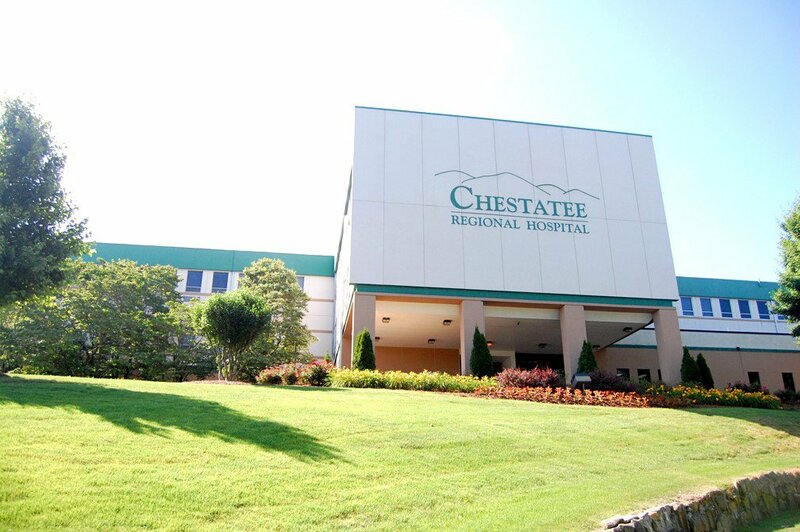 Updated: June 27, 2018, 12:04 p.m.
Chestatee Regional Hospital is closing midnight July 27, and urgent care hours in Dahlonega are expanding to carry the load. The Northeast Georgia Health System is aiming for a buyout of the Lumpkin County hospital, a process that will require shutting down the hospital and laying off its approximately 200 employees, who will be eligible for rehire once the sale of Chestatee Regional is complete. While that process is ongoing, Urgent Care Dahlonega will be open from 8 a.m. to midnight, seven days a week, according to an announcement from the health system. The new hours take effect at the start of July. The system revealed its intent to buy the Dahlonega hospital in March. It’s currently owned by a Florida lawyer who is in the middle of a legal fight dealing with allegedly fraudulent insurance claims, which included a large number of high-dollar claims paid by insurers for patients who never visited the hospital. NGHS began exploring a buyout of the hospital in fall 2017, and with a deal reached and due diligence underway, the Dahlonega hospital is on track to close this summer. With only about a third of emergency care transports going to the hospital in Lumpkin, the health system is expanding its urgent care hours while rerouting non-emergency patients to other hospitals and clinics. That process is starting with Urgent Care Dahlonega. “We anticipate seeing more people coming in for care after work and when accidents happen later in the evening, and our staff is prepared to care for them,” said Tammy Soles, the administrative director for the Dahlonega clinic, in the June announcement. The Northeast Georgia Physicians Group Dahlonega Internal Medicine clinic has added a physician assistant and a nurse practitioner to begin accepting new patients, according to the announcements. With the expansion of urgent care and the physicians group, NGHS hopes the facilities will be able to handle medical needs of Lumpkin County while it explores what to do with Chestatee Regional Hospital. “Roughly 37 percent of Lumpkin County EMS patients were taken to Chestatee Regional Hospital in 2017, and we believe a number of those patients could have been appropriately treated in a different setting — like an urgent care center or primary care office,” said Chris Dockery, chairman of the Lumpkin County Board of Commissioners, in the announcement. If the sale of Chestatee Regional goes through to NGHS, the property would eventually be sold to the University of North Georgia in Dahlonega. The hospital property would be leased to the university for three years before the sale, according to the announcement. The Gainesville-based hospital system purchased 57 acres at the end of Ga. 400 in 2015 as it aimed to expand into Lumpkin County, and a new facility could be coming at that property. “We’re still open to all possibilities, and we look forward to continuing to work with Lumpkin County leaders and the community to envision the short-term and long-term future of health care in this area,” said Louis Smith, president of Acute and Post-Acute Operations for NGHS, in the announcement. The hospital system has reached a conditional agreement with the owners of Chestatee Regional Hospital, DL Investment Holdings, and pending a due diligence period plans to purchase the Dahlonega hospital.